Sometimes paper is just not durable enough. Synthetic substrates are fantastically durable; tear resistant and will withstand the harshest environments. They serve a most import role in the visual communications world, but synthetic substrate printing is a highly specialized print technique. 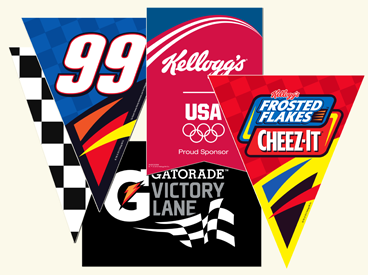 For more than a decade, we have been a leading producer of banners, pennants, window and floor displays, package labels and warning tags. If your project requires synthetic substrates, contact us. 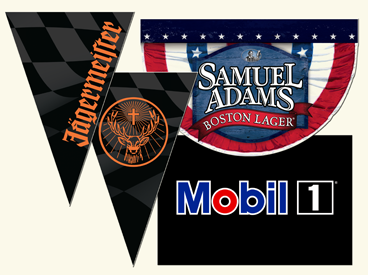 We are experts at printing on plastics and other synthetic substrates. We know synthetics: bring us your needs, and we will give you advice on what we recommend.